A natural tooth consists of a root and a crown. If you compare natural teeth to implant-supported replacement teeth, you’ll see they have the same basic parts. Both have a crown (the visible part used to chew food). Both have a root that holds the tooth securely under the gum and is anchored into the jaw. The difference is that the implant is made of titanium – the same time-tested material used by surgeons for artificial joints. When you lose a tooth, you lose both the root and the crown. Before replacing the crown, the root must first be replaced with a small dental implant. Time is allowed for bone to heal and grow around the dental implant. The bone bonds with the titanium, creating a strong foundation for artificial teeth. A support post (abutment) is then placed on the implant and a new replacement tooth (crown) is placed on top of the abutment. In many cases a temporary replacement tooth can be attached to the dental implant immediately after it is placed. If all of your teeth are missing, a variety of treatment options are available to support the replacement teeth. 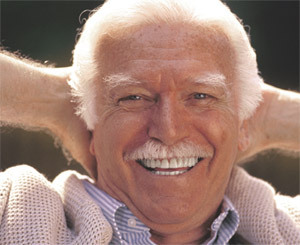 Recent advances in dental implant technology have opened the door for single stage implants. These implants do not require a second procedure to uncover them, but do require a minimum of six weeks of healing time before artificial teeth are placed. There are even situations where the implant can be placed at the same time as the tooth extraction – further minimizing your number of surgical procedures. As Prosthodontists, we are experts in making sure that your prosthetic teeth, including dental implants, look and feel just like your natural ones. By carefully fitting and measuring with the help of the newest in imaging technology, we are able to ensure optimal function and aesthetics.